Fitch Ratings suggest that the outlook for the retail sector in India in the second half of the year is going to shed the tag of being stable and fall under the category of being ‘negative’. This inference comes from the weak customer spending sentiment which they believe is low and not likely to improve. The agency believes the worsening business conditions could negatively impact credit profiles, while the impact on individual retailers would depend on their ability to manage their capital structures. The likely margin contraction and expansion plans, along with the increased need for inventory, as retailers open up new stores, would increase working capital requirements, which would be largely debt-funded. Is Indian retail so gloomy? Though it can’t be denied that the economic environment isn’t tough but to believe that it is turning negative is a little hard to believe considering the growth stories that we witness. However when we gauged the financial results of the leader in retail, the story says something else. Most of the brands have posted increased profits, incomes and revenues. Though brands did not witness enormous profits, most of the brands were up on the profit meter. While Trent, and Bata rose above the 25 per cent mark, Hypercity and Dabur clocked 15 and 17 per cent rise in profits respectively. Tribhovandas Bhimji Zaveri and Titan posted profits ranging five to 10 per cent. The negative spiral however seems to have clinched Shoppers Stop which posted a loss of 95 per cent, cashing up to Rs 50 lakh of a drop the Rs 11.7 crore profit it witnessed for the same period last year. 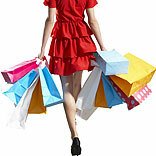 FICCI in a report states that the domestic retail sector is poised to become a 1.3-trillion opportunity by 2020. There is a symbiotic relationship between retailers and FMCG companies, which spread across the value chain from assortment planning, replenishment, space planning and promotion. It is imperative for FMCG and retail companies to collaborate in this journey. The market sentiment spells positive as brands were and are bullish on expansion. Bata India has continued the strategy of expanding its retail stores and opened 48 new stores this quarter. These new stores are based on the new large format and are above 3000 sq. ft and are spread across metros, tier I and tier II cities. Shoppers Stop opened two new stores at Pune and Jalandhar taking their store count to 52. Other store additions from the group saw the opening of three MAC stores, one Clinique store and four Crossword stores. TBZ also opened a new showroom at Churchgate in South Mumbai. Dabur worked at doubling its distribution footprint in rural India which it says is facilitating results. Brands continue to work towards taking the store count higher in the coming quarters. In a report by Kotak Wealth and CRISIL Research, there are around 62,000 ultra HNIs in India as of 2010-11, with a minimum net worth of Rs 250 million. This number represents a meagre 0.03 per cent of the total households in India, but is poised to more than triple to 219,000 households by 2015-16. Ultra HNIs spend around 22 per cent of their income on luxury items. According to Shane Choitramani, Managing Director, FX Entertainment, there is a growth of 25 per cent in the luxury market in India. Brands offering luxury items are also expanding portfolios and number to be sold in the Indian market. Is the negative spiral going to grip Indian retail or are these just speculations riding on the FDI wave? US President, Barack Obama in a statement a few days ago cited concerns over the deteriorating investment climate in the country and appealed for another ‘wave’ of economic reforms. So, are foreign countries pressurising the government to succumb to the relaxation and further opening up of FDI since other markets across the globe are nearing saturation? India attracted one of the highest foreign investments in the last fiscal. Well, it is a wait and watch situation. Though the market sentiment is muted, the growth figures definitely point upwards.